Definition at line 27 of file mpiprobsearchaux.h. Definition at line 32 of file mpiprobsearchaux.cpp. 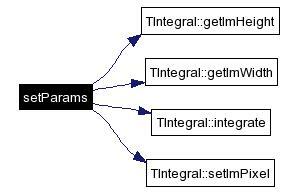 References TImage::getArray(), TIntegral::getIntNumPix(), m_intimage, and m_numX. Definition at line 16 of file mpiprobsearchaux.cpp. References TIntegral::getImHeight(), TIntegral::getImWidth(), TIntegral::integrate(), m_intones, m_numX, m_numY, m_scale, m_shift, TIntegral::setImPixel(), and y. Definition at line 24 of file mpiprobsearchaux.h. Referenced by ScalePyramid::add_hypothesesPerScale(), makezero(), and MPColorFeatSearch::searchFeature(). Definition at line 25 of file mpiprobsearchaux.h. Referenced by MPColorFeatSearch::searchFeature(), and setParams(). Definition at line 22 of file mpiprobsearchaux.h. Referenced by ScalePyramid::add_hypothesesPerScale(), makezero(), MPColorFeatSearch::searchFeature(), and setParams(). Definition at line 23 of file mpiprobsearchaux.h. Referenced by ScalePyramid::add_hypothesesPerScale(), MPColorFeatSearch::searchFeature(), and setParams(). Definition at line 20 of file mpiprobsearchaux.h. Definition at line 21 of file mpiprobsearchaux.h.